The JASC Water Cooled Three-Way Purge Valve was developed in response to liquid fuel coking that will occur when valves are on an engine and exposed to heat for an extended period of time while the turbine is operating on gas fuel. Internally, the JASC Water Cooled Three-Way Purge Valve is identical in design to the standard JASC Three-Way Purge Valve. The JASC Water Cooled Three-Way Purge Valve incorporates an outer water jacket and water cooled flange that keeps the valve cool enough to eliminate coking. JASC developed the Three-Way Purge Valve to replace problematic liquid fuel and purge air check valves on dual fuel industrial gas turbine engines. JASC’s Three-Way Purge Valve is a spool valve. While spool valves have been used in other applications, JASC innovated a solution that utilizes the spool configuration to flow air and fuel in a single package, an industry first. This design was also chosen because it opens up a large flow passage resulting in low pressure drops for high efficiency and the ability to pass large particulate contamination. The spool is contoured for smooth air and fuel flow around the spool itself. The valve’s default position is to flow purge air. Liquid fuel pressurization will shuttle the spool from purge air mode to fuel mode. A piston activated by pilot air can also control the spool’s movement when switching to liquid fuel. JASC designed seals specifically for this application—one in which the valve may have to sit dormant for up to a year without leakage and then switch immediately to flow liquid fuel. A special polymer was developed that would be contamination tolerant and maintain its sealing capability (ANSI Class 6). The seal is completely disengaged as the spool moves away from the seal and is protected from the flow path, whether the valve is flowing air or fuel. JASC’s Three-Way Purge Valves are designed to have a long operating life and can be refurbished, resulting in a lower total cost of ownership. 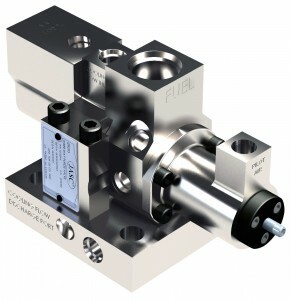 The standard JASC Three-Way Purge Valve can be upgraded to the Water Cooled Three-Way Purge Valve during refurbishment. 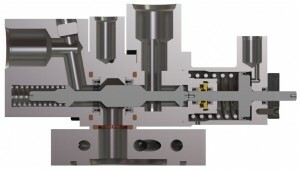 JASC rigorously tests every Three-Way Purge Valve individually to ensure each one conforms to the unique performance specifications defined by the customer. 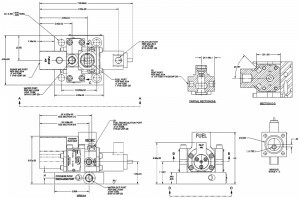 If you’d like to view JASC’s Water Cooled Three-Way Purge Valve technical drawings, you can request them here. Learn more about JASC’s Three-Way Purge Valve. 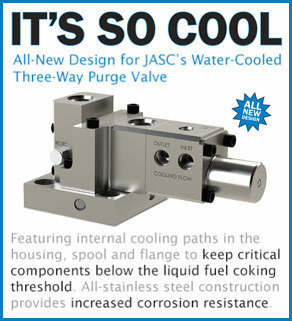 Read more about the details of the new design for JASC’s Water-Cooled Three-Way Purge Valve.